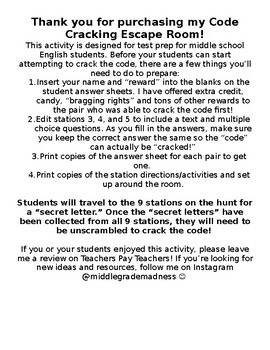 Code Cracking Test Prep Escape Room! In this engaging "code cracking" activity, students review a variety of test prep skills that are commonly assessed on state reading assessments. 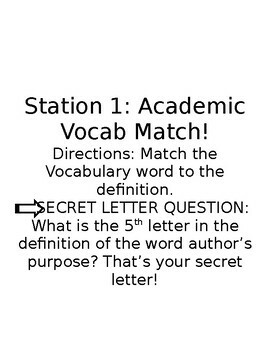 There are 9 stations, and each station has a "secret letter". 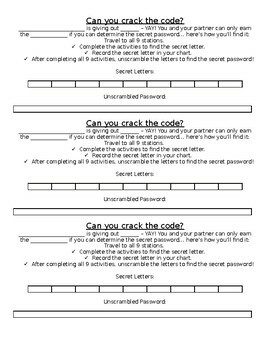 Once students collect all of the "secret letters" they unscramble them to figure out the secret password! My students love this activity because it's so interesting, but I love it because it reviews all of the important skills they need for their state assessment! 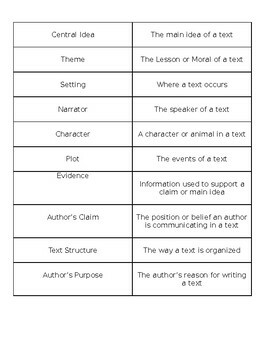 This resource is entirely editable so you can add texts and questions specifically for your students' needs.